We Provide Expert Chiropractic Care in Howell for Back Pain, Herniated Discs, Sciatica & Other Spinal Conditions! Call Us Today - We May Be Able To Help! If you think you've "tried everything" and are still suffering from a spine-related condition, CALL US! We have helped thousands of patients find relief from conditions such as back and neck pain, headaches, migraines, TMJ syndrome, herniated discs, sciatica, spinal stenosis, sports injuries and many other conditions. Even when other therapies have failed, the specific treatments that we tailor to each patient's particular condition can make the difference and finally bring relief. To achieve this we are highly skilled in a variety of techniques that we will choose from based on your particular needs. These include: traditional chiropractic adjustments, low-force techniques, soft-tissue manipulation and spinal decompression - this unique therapy is especially useful for disc herniations and sciatica. If you are looking for a chiropractor in the Howell area, call us and we will happily answer any questions you may have. Let us help you get the pain relief that so many others have had - call for an appointment today! *If you do not see your plan listed above, please call and we will let you know if we participate with your insurance company. Even in the event that we are not in your network, WE STILL ACCEPT MOST OTHER INSURANCE! Just call and we will get coverage information for you. PAYMENT ARRANGEMENTS: We generally bill your insurance company and receive payment from them directly. Payment for out-of-pocket expenses - for patients without insurance or for deductibles, co-pays, etc. - is due at the time services are rendered (unless otherwise required by our provider agreement with an insurance company). For your convenience WE ACCEPT VISA, MASTERCARD, DISCOVER, AMERICAN EXPRESS and CARE CREDIT. Chiropractors can have different areas of focus in their practice as well as differing philosophies about health care in general. Some have a more holistic approach and address things important to overall health such as lifestyle and nutrition issues while others may focus more on the treatment of specific conditions. The best chiropractor for you is the one that provides the type of care that you, specifically, are looking for. At our office Dr. Spathis emphasizes the treatment of neuromusculoskeletal and associated conditions like the ones outlined below. Although we may occasionally address specific issues related to lifestyle, nutrition or other areas, and make appropriate recommendations (especially if they are impacting the condition that we are treating), this is not our primary focus. We do not sell nutritional supplements or provide the type of nutritional testing and/or counseling that some practices may provide. Our emphasis is trying to resolve the specific presenting complaints of our patients with scientifically based treatments aimed at achieving this goal as much as possible. Although we would love to have you as our patient, we also want you to be happy with having chosen our office. If it sounds like our practice matches what you are looking for, we think you will be very happy with our office and we will do our best to exceed your expectations. Back and neck pain is often the result of joints that are "locked-up" and can't move freely. When the surrounding spinal segments move excessively to compensate, they become irritated and inflammed which causes the surrounding muscles to spasm to prevent further worsening. In turn, this puts more pressure on the irritated spinal segments which causes more pain and more reflex muscle spasm. This pain-spasm-pain cycle can be relieved with specifc spinal manipulation that restores movement to the segments that are "stuck" thereby addressing the underlying problem and resolving associated symptoms. This is one of the common mechanisms involved in spine related pain. Our approch involves in finding the mechanism involved in your particular case and working to resolve that specific underlying problem. Cervical disc herniations can cause neck and upper back pain along with arm pain, numbness and tingling. Lumbar disc herniations can cause lower back pain along with sciatica - pain down the course of the sciatic nerve - or other types of leg symptoms. Spinal stenosis is a condition in which the nerves that come from the spine get pinched, often from degenerative changes in the spine. This condition can also cause pain that radiates into the arms or legs, depending on the spinal region involved. Although these can be difficult conditions to manage, they usually do respond very well to our conservative treatment approach and most of our patients can avoid more invasive procedures such as pain management or surgery. We achieve these results by using a specific type of low-force spinal manipulation to reduce disc herniations and open the space around the spinal nerves that are getting pinched. We often combine this with a specialized type of intermittent traction sometimes referred to as "spinal decompression" (not be be confused with surgical spinal decompression) that can not only help relieve pressure on spinal nerves but may also help speed up the healing process by improving the flow of nutrients to the spinal discs. If you have a herniated disc, sciatica or spinal stenosis, give us a call, we may be able to help! Our unique approach to the treatment of headaches, including migraines, involves not only treating the spinal segments contributing to the headache but employing an adjunctive soft tissue "pressure point" type of treatment that has a "blocking effect" on most headaches. This allows the brain to calm down - decreasing the heightened stimulation experienced during a migraine - and the patient can usually leave our office feeling some degree of immediate relief. Of course, migraines can be difficult to treat and individual responses to any type of treatment can be variable; however, most people will find this to be an effective option for their headache complaints. Temporomandibular Joint Dysfunction and associated symptoms (TMJ Syndrome) is a condition that responds well to appropriate conservative care. At our office we treat this by resolving any movement abnormalities in the joint itself using a very low force "manipulation" procedure as well as specialized soft tissue manipulation of associated musculature that contributes to TMJ dysfunction. Our patients are usually pleased to find this approach provides much quicker results than other treatments they have tried for this condition. Pregnancy related back pain is usually due to a combination of factors that include structural changes as well as the effects of hormones like "relaxin" that, among other things, have a loosening effect on spinal ligaments. This is important to allow the pelvis to be able to move in a way that allows the baby to be delivered as easily as possible - yes, it would be worse without this hormone! However, this can have a destabilizing effect on the spine, esp. the "sacroiliac joints" on either side of the lower back/pelvis. The low force manipulation we provide helps relieve some of the pressure on these joints as well as relax associated muscular structures. If additional compensatory effects or other structural problems are found higher up in the spine, these can also be addressed to relieve any upper back pain or neck pain that is also common during a pregnancy. Sports related sprains, strains and other injuries of the spine and extremities are experienced to some degree by most athletes. Dr. Spathis has 25+ years of treating these types of injuries in athletes at every level. If you need an experienced chiropractor in the Howell, Michigan area, give our office a call, we will do our best to help! We offer a variety of spinal manipulative treatments at our office, including "hands-on" manipulation and "instrument assisted" chiropractic adjustments, as well as adjuctive therapies for specific conditions. Although the applied force will vary to some degree based on the type of treatment required as well as factors such as patient age and condition, we always use the lowest force possible to achieve our desired treatment result. This approach is both safe and effective as the body tends to offer less resistance to lower force treatments compared to more aggressive interventions thereby maximizing the therapeutic effect. For those who are worried about chiropractic treatments being painful or uncomfortable, give our office a try - we think you will be pleasantly surprised. As standard x-ray examination does not usually give us very much information regarding the ability of joints to move and function, our spinal analysis methods are not based on x-ray but, rather, on a functional assessment. Of course, this does not mean that x-ray examination will never be required. There are times when x-ray examination is appropriate for a variety of reasons - ruling out an underlying condition such as the possibility of fracture following certain types of acute trauma, etc.. We rely on the current accepted medical literature and associated recommendations to assist us in making appropriate decisions regarding further testing requirements, whether this be x-ray, MRI, etc.. For more information about x-ray examination in particular, please see our FAQs section for a more detailed explanation. The following contact information is provided as a convenience for those that require urgent care that may not be within the chiropractic scope. This is not meant to be a comprehensive list of Howell urgent care clinics and we cannot guarantee the accuracy of the information provided. If you notice an error, please notify us so we can update this information. 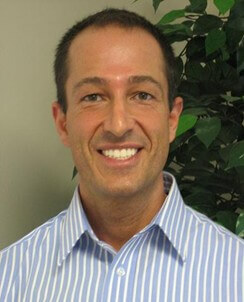 Dr. Brian D. Mahany, D.O. *The above are urgent care clinics NOT hospital emergency rooms. If you have a life threatening emergency or other condition that requires emergency attention call 911 or visit your local emergency department.